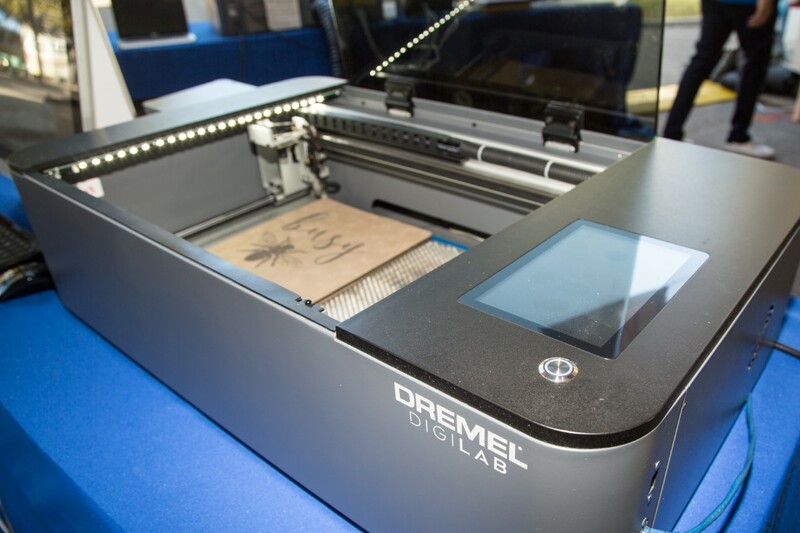 This weekend at Maker Faire New York, we were excited to see a brand new tool sitting on Dremel‘s tables. This is the Dremel Digilab Laser Cutter. We don’t have all the details yet, such as the price, but we do know a few things. Here are the specs according to Dremel. Of note are those safety sensors. Most lasers right now have simple lid detection, but Dremel has added all kinds of safety checks to maker sure things like the high voltage power supply or cooling system failures won’t injure you or cause more damage. This is a good step in my opinion and I’m curious to see what all they have implemented.